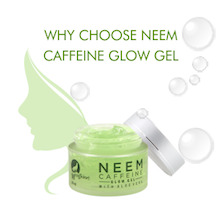 Why Choose MCaffeine Neem Glow Gel? HELLO HYDRATION! And bye-bye skin woes. Caffeine, Neem, Aloe Vera, and Vitamins C & E come together to create a gel that not only hydrates and nourishes the skin, but awakens and energizes it. With MCaffeine Neem Gel, we promise nothing but NON-STICKY moisturization, COOLING effect and a SOOTHING touch. 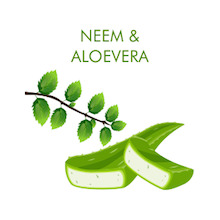 An Ayurvedic Elixir, Neem is anti-bacterial and anti-fungal in nature. It is extremely useful in treating acne, rooting out the bacteria and preventing acne reoccurrence. It lightens acne scars, and heals open pores and hyperpigmentation. Aloe Vera is nature?s cooling aid that hydrates the skin, without making it oily. Its soothing properties make it an excellent treatment for sunburns and skin inflammations. It also prevents skin?s early signs of aging. Additionally, hormones- Auxin and Gibberellins in Aloe Vera are useful in treating various chronic skin problems. Also known as L-Ascorbic acid, Vitamin C is an antioxidant that helps in improving skin texture, protecting against skin discoloration, and it repairs and protects skin cells. It is known to reduce the effects of UVB-induced Erythema which causes reddening of the skin. 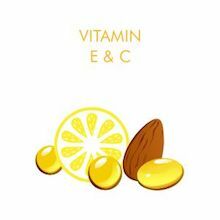 Vitamin E moisturizes and rejuvenates skin. It also improves the skin elasticity, making it supple and soft. An antioxidant, Vitamin E is known to fight free radicals and help prevent wrinkles. 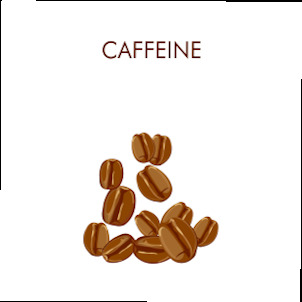 In its simplest form, caffeine is one of the most widely used substances in the world. While the benefits of consuming caffeine are well known, its topical benefits are a secret well kept, that have been discovered recently. Caffeine is one of the richest sources of anti-oxidants that fight free radicals and prevents premature ageing of the skin. Another major benefit of caffeine is its ability to protect skin from the harmful UV rays of the sun and act as an effective shield against sun damage. It also stimulates blood flow, which in turn helps collagen production. Collagen is the most abundant protein in our body that helps in the maintenance of skin and hair health. With its anti-inflammatory properties, caffeine fights puffiness, gives you an even skin tone and soothes the skin. Its pH level is same as the skin; therefore it is not harsh and maintains the overall health balance of the skin. Caffeine, truly, is an elixir that does you good inside and out. 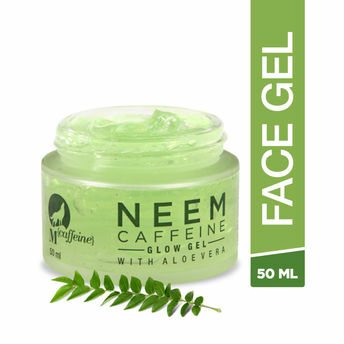 How to Use Neem Caffeine Gel? MCaffeine Neem Gel is easy to use and can be used any time of the day. For best results, use it in the morning and at night with MCaffeine Neem Face Wash. Wash your face to thoroughly cleanse it, pat dry and apply a liberal quantity. Gently massage with upward stokes until absorbed. 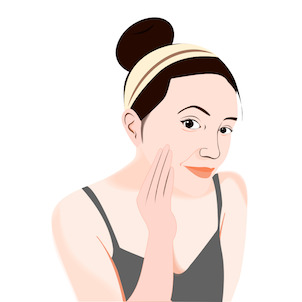 For a quick fix during the day, just splash cold water on your face, pat dry and apply the gel to get back the freshness. Caffeine has been in news and research for a long time for the plethora of benefits it holds. It was about time the Indian Consumers fully experienced the true benefits of caffeine. With coffee being an integral part of our day to day lives, we wanted to introduce the most loved ingredient into the most significant part of our life ? Skin and Hair care. But we didn?t want to add just another brand in an already cluttered industry. We had one motto ? to give India a purposeful brand. We wanted to create a socially conscientious brand that not only is true with its products but also respects differences of the color. In a society burdened by the pressure of the shade card, we believe and promote Confidence Over Color. MCaffeine is a promise of honesty. All our products are a result of extensive research and advanced technology. With Caffeine at the heart, every product is a unique blend of selected ingredients to fulfill the promise of complete skin and hair care. Caffeine, the main ingredient, is a true superfood for the skin and hair with its benefits being multifold. Each combination is carefully curated to enhance and bring out the best properties that promote healthy and confident living. All our products are paraben free, making them 100% safe for use. And they?re cruelty-free as none of them are tested on animals, making them ethically guilt free for use. The best part of our journey is when our motto and beliefs truly resonated with our customers. When we first launched our products, we?d be lying if we said we weren?t scared. But our unique blends were welcomed with so much enthusiasm and appreciated by all, which made the whole journey a truly pleasant and a wonderful experience. Explore the entire range of Face Moisturizer & Day Cream available on Nykaa. Shop more MCaffeine products here.You can browse through the complete world of MCaffeine Face Moisturizer & Day Cream .